What you see above is very much what could be part of OpenOffice.org’s upcoming visual design. The project has been working on several levels (and with some confusion as to what process and team was to come up with the first elements) on OpenOffice.org’s next logo. What do we need a new logo? Because OpenOffice.org is almost 10 years old, and that as our own interfaces change, so should our branding. But here’s the trick Oracle’s acquisition of Sun does not come very much into play here: Otherwise we would all be covered in red and have sailboats instead of our beloved Hamburg’s seagulls (the birds you have to come to associate OpenOffice.org with). So what what started here, is a refresh in our branding, and we want it to be progressive. Updated: I just received news that Larry Ellison’s sailboat who just won the America’s Cup, has been designed based on seagulls’s shapes. A nod to OpenOffice.org maybe? As you can see, the font, the colour sequence and even the shade of blue have changed. We will not stop there, and will also work on other visual elements, such as our icons. And here’s the great part: You can help too, by joining our Branding Initiative and participate on our dedicated mailing list. I hope you enjoy our new designs. Stay tuned! 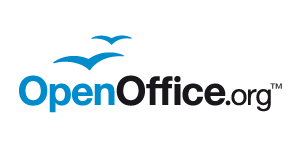 4 Responses to "Rebranding OpenOffice.org"
The new logo looks so much better.